When I first learned about this plant, it was growing as a weed in the greenhouse at Ohio University —its presence was tolerated primarily because we used it regularly in the undergraduate Plant Morphology, Systematics, and Paleobotany courses. Now, I live in Florida and it grows along the route where I walk my dog every morning. This plant is facinating becasue it looks rather similar to some of the fossils of the earliest land plants; somewhat like what we think the ancestor of all living ferns and seed plants was like. The green axes branch dichotomously and in three dimentions, bearing lateral organs that look like tiny leaves sometimes called “prophylls.” Studies indicate that these organs they probably are reduced leaves in <i>Psilotum</i>, but they lack vascular tissue and are similar to the enations that ornimented the leafless sporophytes of many early land plants. One recent Saturday I decided to harvest a bit of this plant and make some simple sections by hand. The images below are stained with safranin or methylene blue to show the different cell types. The images in this little tour may be used for teaching purposes, just send me an email of leave a comment to let me know! Cross section of the rhizome, stained with Methylene blue. Note the casparian strip in yellow. The scale should read 120, not 128um. I’ll fix that soon. Close up of the branch in the image above. This shows the xylem cells in the middle of the banch. They are obvious because of the characteristic helical thickenings. The staggering diversity of flowering plants remains one of the most fascinating aspects of plant evolutionary biology, especially in comparison to the relatively low diversity of all other groups of land plants. 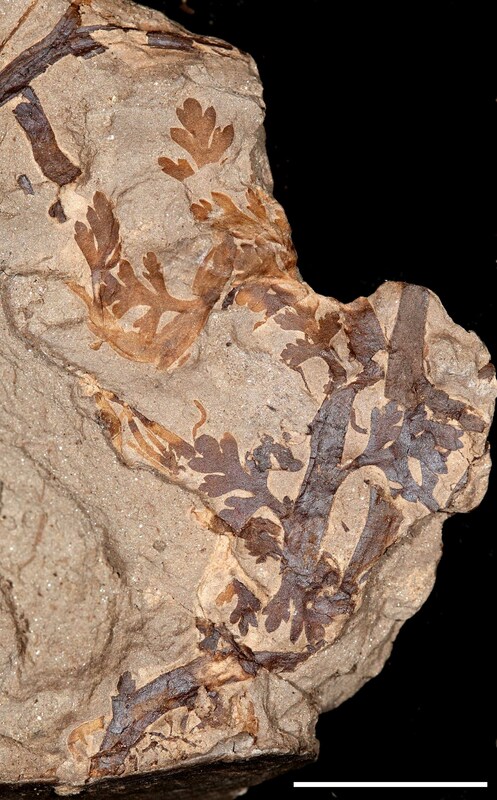 Fossils provide critical information about the evolutionary history of flowering plants and their diversity, but there is much more yet to be discovered. I think that the answers to long-standing questions like ‘what did the earliest flowering plants look like?” and “which living plants are the closest relatives of flowering plants?’ will be found in museum collections- some existing and some that have yet to be made. If you are interested in when flowering plants first appeared, you can read about the latest evidence for pre-Cretaceous angiosperms here and here. The fossils described in my recent paper provide new information about the earliest eudicot angiosperms. Eudicots are a large group including a wide range of morphology from small herbs to some of the world’s largest trees, such as Eucalyptus regnans. Taken along with several other recent studies, the Lower Cretaceous fossils contribute to an emerging picture of eudicot angiosperms as primarily weedy herbs during the Early Cretaceous, with the larger forms evolving during the Late Cretaceous and Cenozoic. 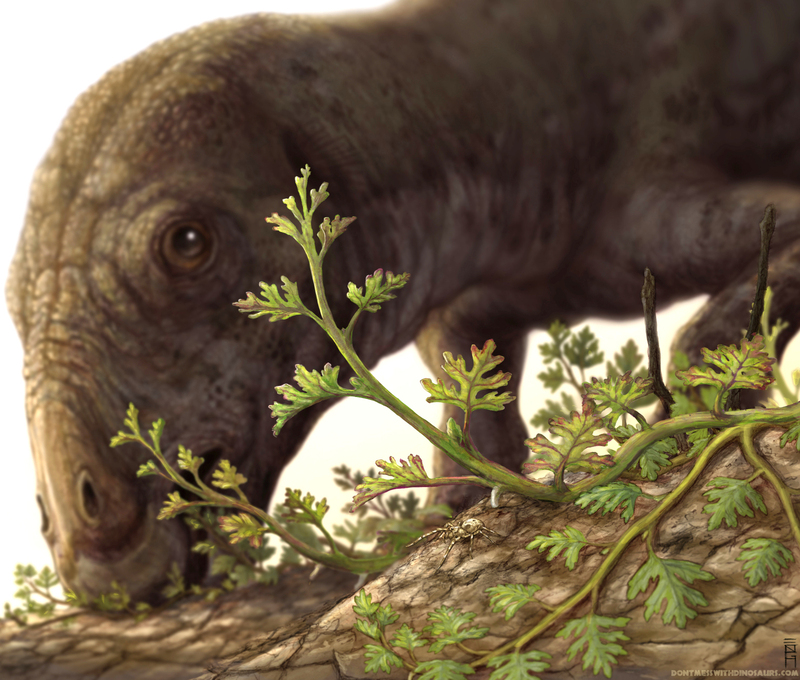 Here is a photo of one of the fossils from the new paper. Fairlingtonia is among the oldest known eudicot angiosperms, and among the most well-understood in terms of its environment and life-history. Unfortunately we don’t have the flowers yet, but I’m optimistic we will someday. 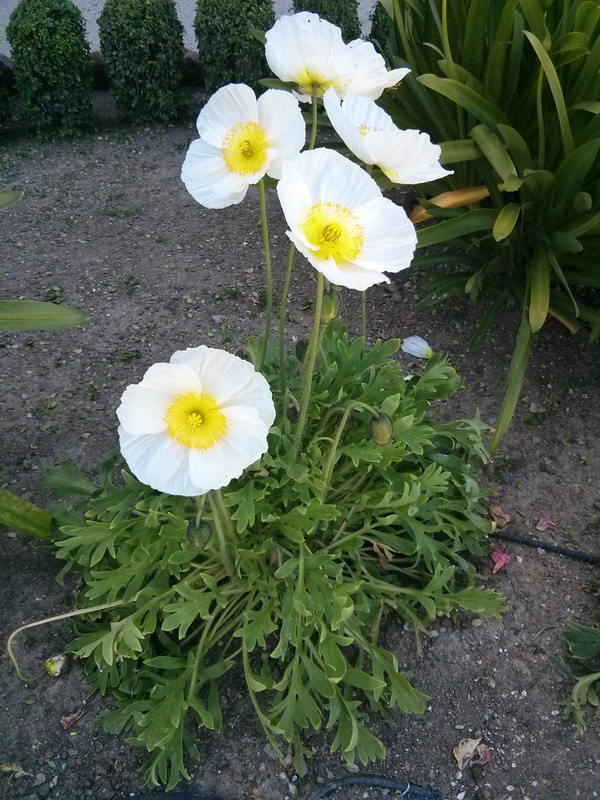 This plant was very small, but it was very common. It was adapted to colonizing bright, wet microsites; it probably did quite well on fresh soil following floods and fires. This is very different from the “dark and disturbed” or “xerophobic” model of the earliest flowering plants as a whole, which suggests that the ancestors of modern angiosperms were shrubs adapted to wet, shady forest understories similar to the modern Amborella trichopoda. However, these two models aren’t necessarily incompatable. Whereas the earliest angisoperms may have been understory shrubs; the eudicot clade, which includes nearly 70% of all living angiosperm species likely had its start in bright, wet, habitats as weedy herbs, and it is these conquering weeds ultimately took over the worlds forests.